Lafayette, LA– Downtown Alive! returns this Friday night with another stellar performance in Lafayette’s city center. 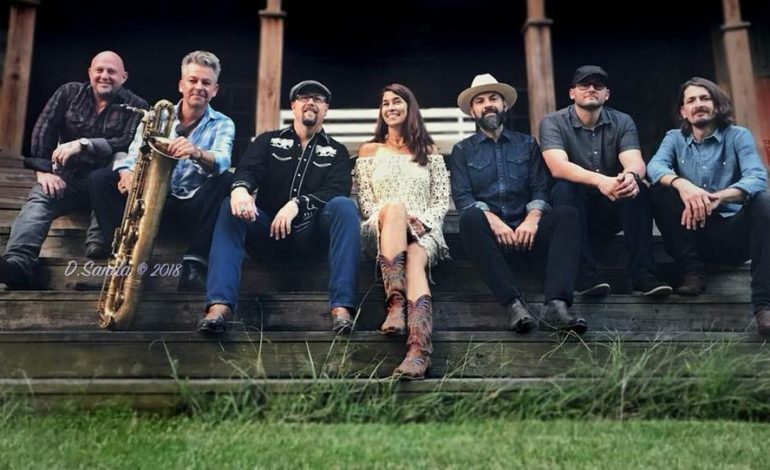 Yvette Landry & the Jukes will bring their swamp pop influenced honky-tonk sound to the stage at Parc International in Downtown Lafayette for another toe-tapping, two-stepping, Friday night good time. Featuring multiple Grammy nominated musicians, Yvette Landry and the Jukes formed after a duet recording by Yvette and band member Roddie Romero of Dale and Grace’s, “I’m Leaving It Up To You” sparked a the creative flame that formed the band. Their first album, 2018’s Louisiana Lovin’ released to much critical success. Many members of the band are also members of Roddie Romero’s Hub City All Stars. Eric Adcock (keyboards), Jermaine Prejean (drums) and Derek Huston (saxophone) will join Yvette and Roddie on stage this Friday for what is sure to be an incredible show. The doors at Parc International open at 5:00 PM and aside from the music, Downtown Alive! concertgoers will have many reasons to enjoy the festivities. The party begins with the DTA! Happiest Hour sponsored by Agave at 5:00 PM. Early arrivals will have access to Agave margaritas on the rocks and limited availability “Keep the Music Alive” souvenir cups from the beer booth. The cups are a unique reminder of the vital support that drink sales provide the free of charge Downtown Alive! Yvette Landry & the Jukes hit the stage at 6:00 PM. The Downtown Alive Kids Zone will have fun and educational activities provided by Deuxiemè Vie Creative, Itz Pop-A-Licious, and MLR Magic. As always, Downtown Alive! is a family-friendly event. Parents can bring the whole family Downtown and let the young ones run free while they enjoy the show. Concertgoers are encouraged to bring an appetite as well. The DTA! Manger area will feature satisfying meals from local businesses, perfect for fueling moves on the dance floor. Downtown Alive! is produced by Downtown Lafayette Unlimited and supported by contributions from Lafayette Coca-Cola, LUS, Teche Drugs, Super 1 Foods, Lowry’s Printing, Townsquare Media, Delta Media, Event Rental, and Potty Girl. The concert series hosts performances from an assortment of musical genres including rock, Cajun, zydeco, funk, soul, and more—all on the stages of Downtown Lafayette’s Parc International and Parc Sans Souci. Concession sales help keep DTA! free, so don’t be a mooch and buy DTA! hootch. Please leave your ice chests at home with your pets. DTA! is a smoke-free and family friendly event. As a reminder, parking is available at Parc-Auto du Centreville Garage with free metered street parking after 5:00 pm. For more information, visit downtownlafayette.org. Downtown Alive! is produced by Downtown Lafayette Unlimited in cooperation with Lafayette Consolidated Government.